With 30 years of experience practicing law, Arnulfo has the expertise necessary to navigate most any legal problem. 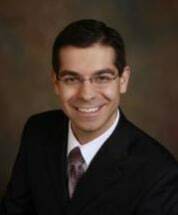 He is a graduate of St. Mary’s School of Law, the University of Texas at Austin, and he holds an MBA from the University of Texas-Pan American. He began his legal career as a litigator with the District Attorney’s office in Hidalgo County, Texas. After his tenure there, he opened a private law practice and assisted clients with a range of legal issues from family law to criminal matters. 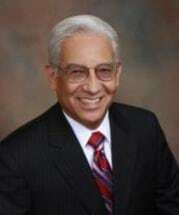 Arnulfo also served as a City Commissioner in Edinburg and is currently the Chairman of the Parks and Recreation Committee for the City of Edinburg. A graduate of Yale University and Cardozo School of Law in New York City, Dan knows that life is “different” outside of the Valley. His decade of experience in various cities along the Eastern Seaboard affords our clients a unique perspective that other local attorneys do not offer. He is a former teacher and he draws on that skill when explaining complex issues to clients whose expertise lie outside the law. Dan worked as a Summer Associate at Nixon Peabody, LLP in New York City and at Morgan Stanley & Co., a financial services firm, before that. While in law school, he was honored with a New York City Bar Diversity Fellowship. Dan holds a Certificate in Dispute Resolution and is a champion of alternative dispute resolution processes like mediation that save clients time, money, and privacy.